Gianni, who has both Italian and Canadian citizenship, is one of the pre-eminent Italian guides, with a particular interest in the FSSF, or Devils Brigade. He is a retired professor and has led many tours for the families of FSSF Veterans. 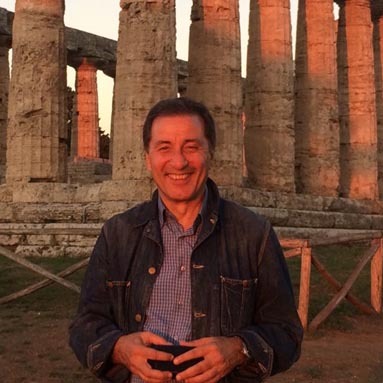 He is widely seen on Italian Television and History documentaries. Here is what a recent group had to say about Gianni, from the son of a FSSF Officer. I would be honoured to have this testimonial included about our Devils Brigade Tour. Our tour went far beyond even our greatest expectations. Italy tour guide Gianni Blasi was so passionate, articulate, knowledgeable, accommodating and wonderful to be with. His in-depth knowledge and understanding of the Devil’s Brigade’s history, peppered with various anecdotes, made the tour so meaningful. Gianni brought my Fathers time there back into focus. He made history come alive. He showed me a fountain where my father would have stopped to drink, and a path outside a headquarters building where they would undoubtedly have walked. I have been back in Canada about three weeks. I cannot stop thinking about our experience and the courage and sacrifice of these wonderful men. 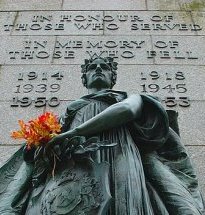 All in all, Canadian Battlefields Tours provided us with a once-in-a lifetime experience for which we will always be grateful. It is a great package that should hopefully be enjoyed by many others in the future. I would recommend your tour company to anybody without any hesitation whatsoever. Thank you again! !